Jack and I have visited our friends at their ranch for 20 years. 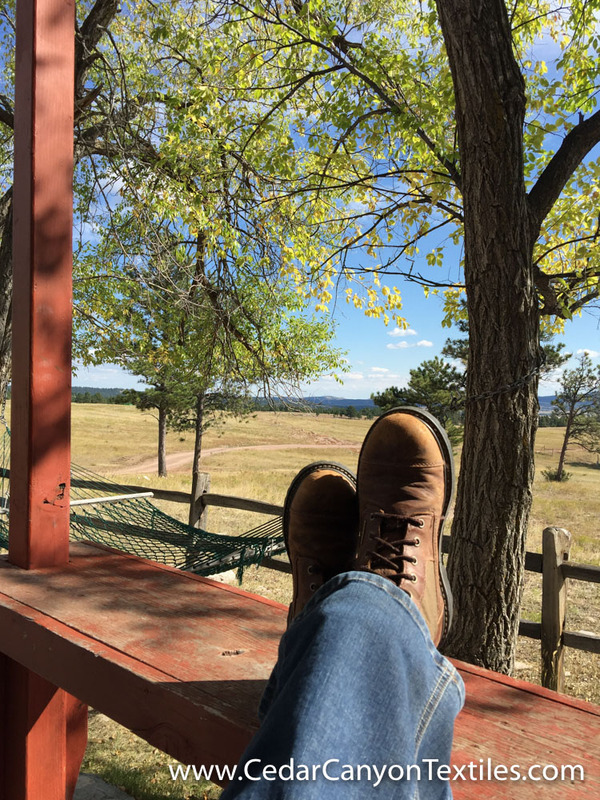 With each visit, I logged a lot of hours – and miles – in my hiking boots enjoying the sights and sounds of the ranch. 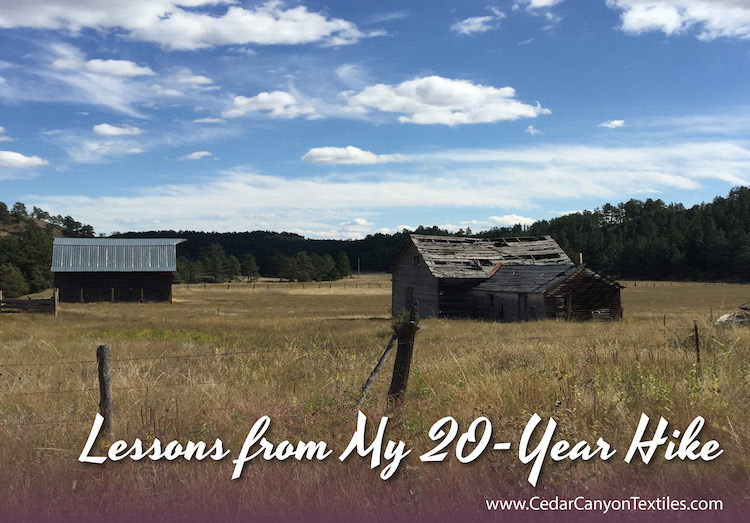 I capped off our visit this year with a long “20-year hike” to one of my favorite spots. 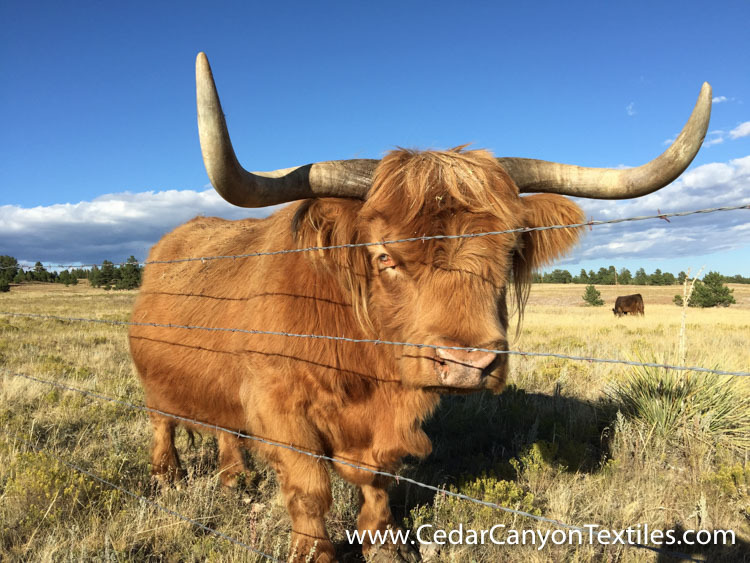 Norman is the bull-emeritus in Penny’s herd. He’s past his prime as top dog (oops — top bull) in the breeding pool, but he’s an amazing animal with a surprisingly mild personality. Norman’s current job is to keep an eye on the new, young bull who has just joined the herd. I think of him as a mentor in a shaggy red coat. 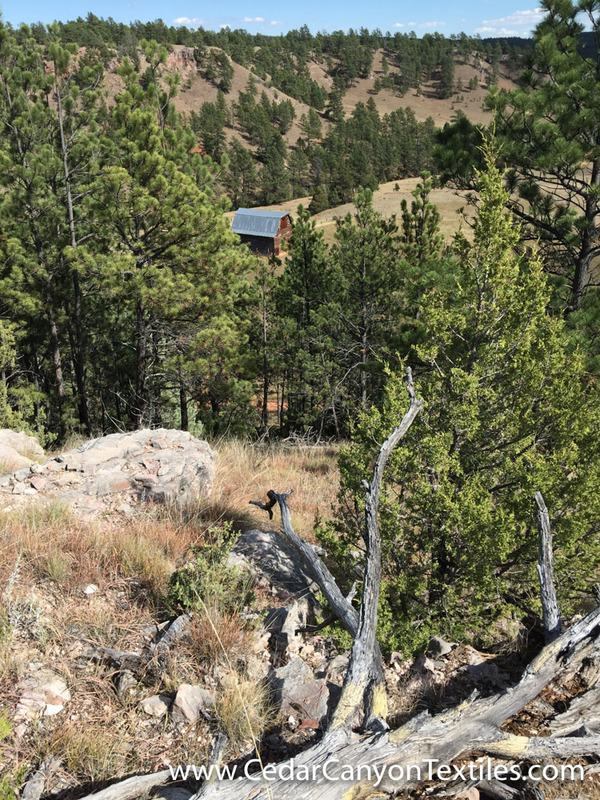 Hiking through ranch country is full of ups and downs. Sound familiar? 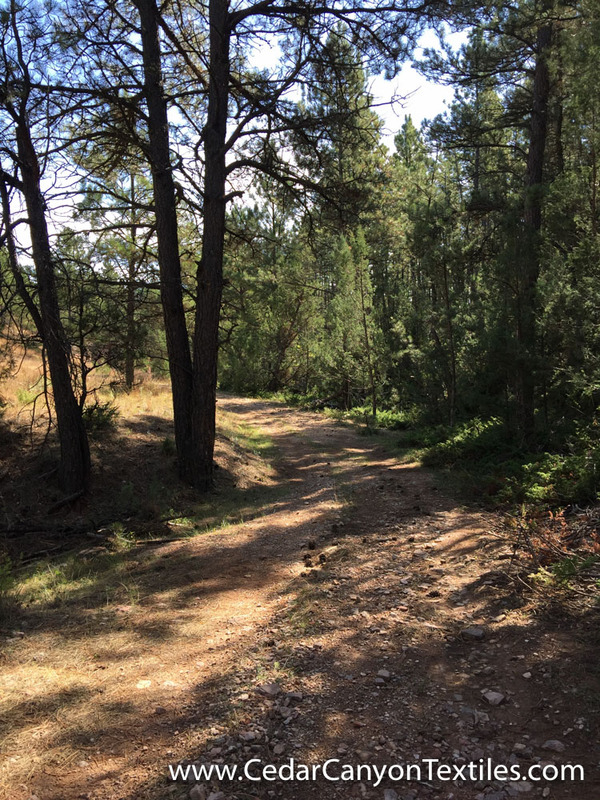 The good news is that for every hill you climb, you get a breather on the way down. For every downslope, there’s a climb back into the sunlight. 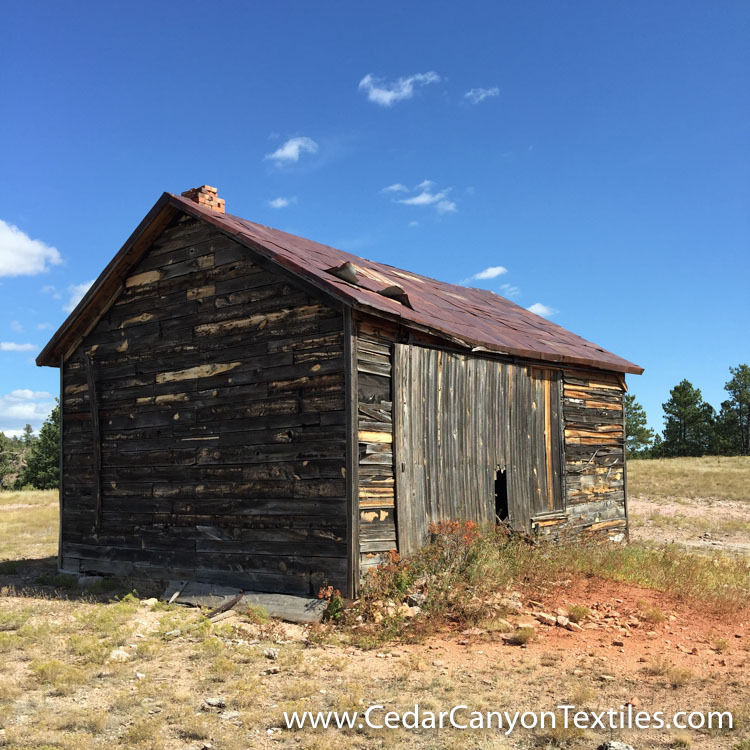 This old schoolhouse are a reminder that we’re never too old to learn. We may not be as young (or as strong or as good looking) as we used to be, but I’ll bet big money that we’re a lot wiser for our years – and more than capable of learning new things. 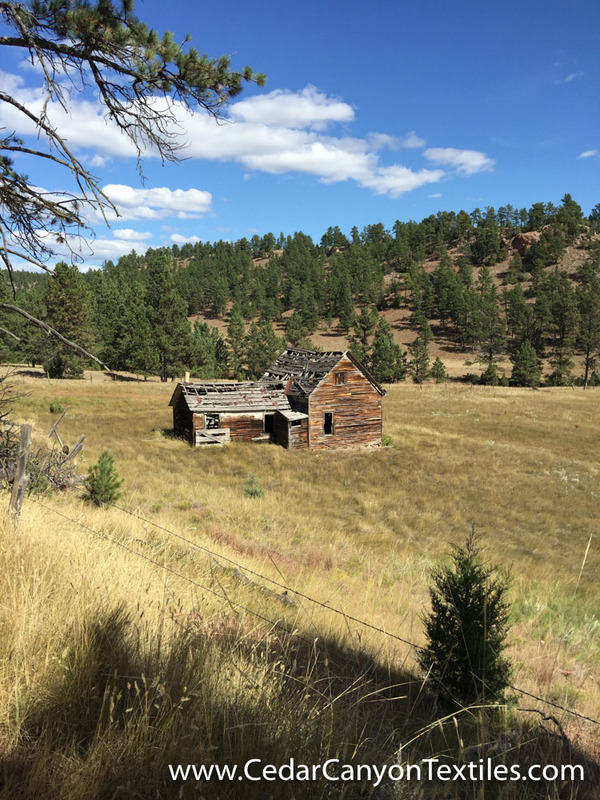 Ranch country is full of old homesteads, from dugout cabins to houses like this one. In our hustle and bustle busy-ness that we call life, it’s easy to “see” a place without stopping to think. Old buildings are fascinating. 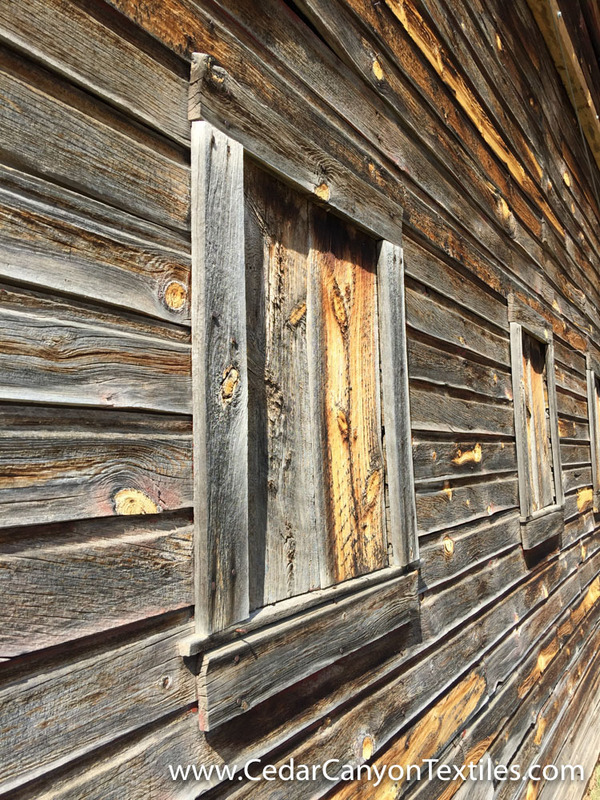 Unlike the house, this old barn is almost perfectly straight, thanks to some preservation work by the Ritchie family. Most of the red paint has long faded and peeled, but it’s a stunningly beautiful structure. Having just passed my 57th birthday, that has me thinking about growing older myself. Instead of trying to look like we’re 25, can we learn to age gracefully – and see that grace in others? On a hike (and in life) it’s easy to get somewhere, check it off the list, and then move on. But do we need to be in that big a hurry? Hikes are much more enjoyable when I take a few extra minutes to pause, see where I’ve been, and to soak up the sun and the scenery. And for life? Yes, it works there too. When we visited the ranch in the early years, we often took 4-wheelers to get around the ranch. While they are great for getting around quickly, everything goes by in a blur. I’ve seen, learned and remembered far more about the ranch from my hikes than I could ever learn chasing around on a vehicle. 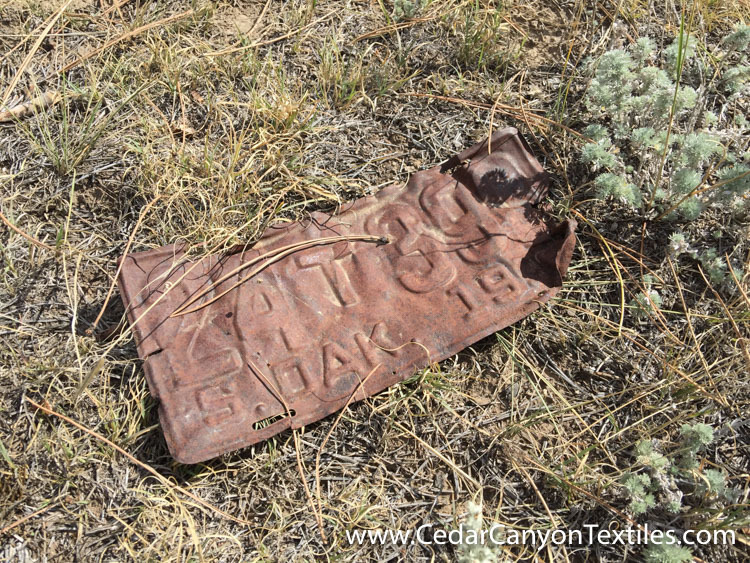 The slower pace allows me plenty of time to see and enjoy the details like this old license plate off the side of the road. When we visit the ranch, I spend a lot of time sleeping and propping up the front porch. The fresh air and abundant sunshine are a great antidote for my habit of cramming too much into my days. Perhaps one day I’ll be wise enough to give myself that much breathing room wherever I happen to be. Got a lesson you want to add to the list? Leave a comment below. I’d love to hear your thoughts. Oh, thank you for the pictures! I so miss the Black Hills and am jealous of your yearly trips there. The wisdom is welcome, too. Thanks again. You’re welcome, Mary. The Black Hills are truly a special place in the world. I feel totally spoiled to have such generous friends – and such a beautiful place to unwind my brain every year. Your reflections made me think of my place of “renewal”. For me, “Life is a Beach”, I could walk on a beach, forever! I love to feel the sand between my toes, sea breezes and sun on my face and through my hair, while breathing in the fresh, briny air and relishing the sounds of waves and gulls. It is truly renewing for me….. a sense of harmony and peace washes over me; and, I am renewed whenever I return to a beach! Truly, we are very fortunate when we have “special places” in our lives. Thanks for sharing……. Safe journeys…. Mmmm… beaches are good! Just scarce in the middle of fly-over land. I’m delighted that you have your special place for renewal. That’s a perfect word to describe my relationship with the ranch. Hi Shelly; Once again I get to spend a few minutes with your thoughts; and time for a few deep breathes. Thank you for the peacefulness of a” hike” in my afternoon break.